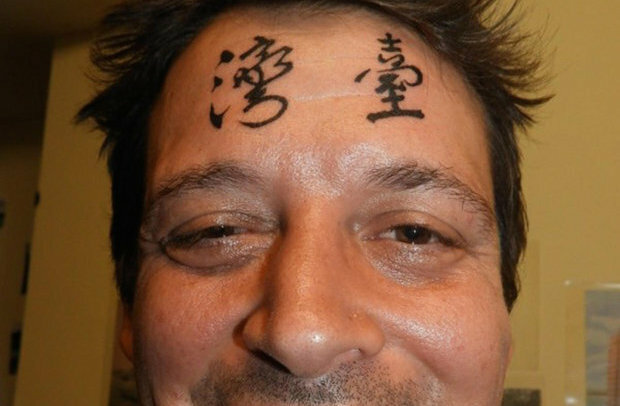 A drunk British tourist, named only as Paul, decided to have the world’s worst ever face tattoos whilst on holiday. 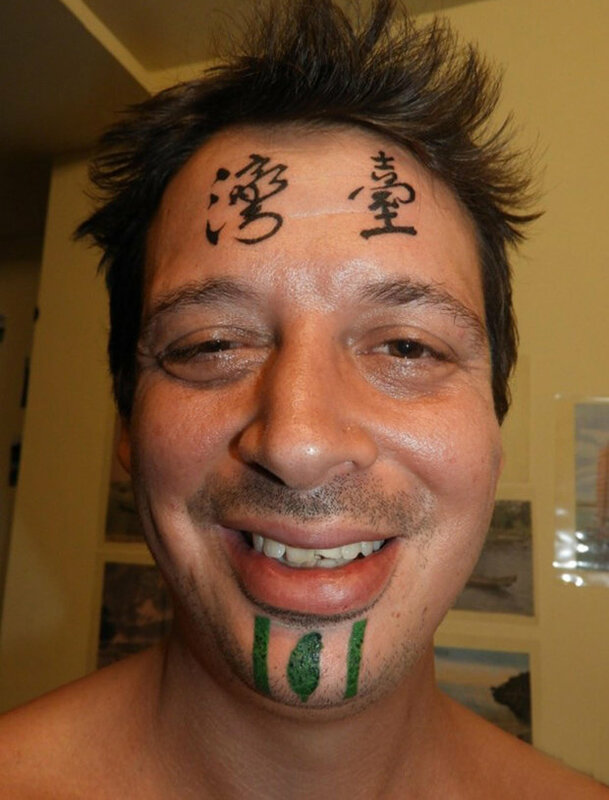 The 32-year-old got the word ‘Taiwan’ written on his forehead in Chinese characters before getting the country’s independence flag inked on his chin. 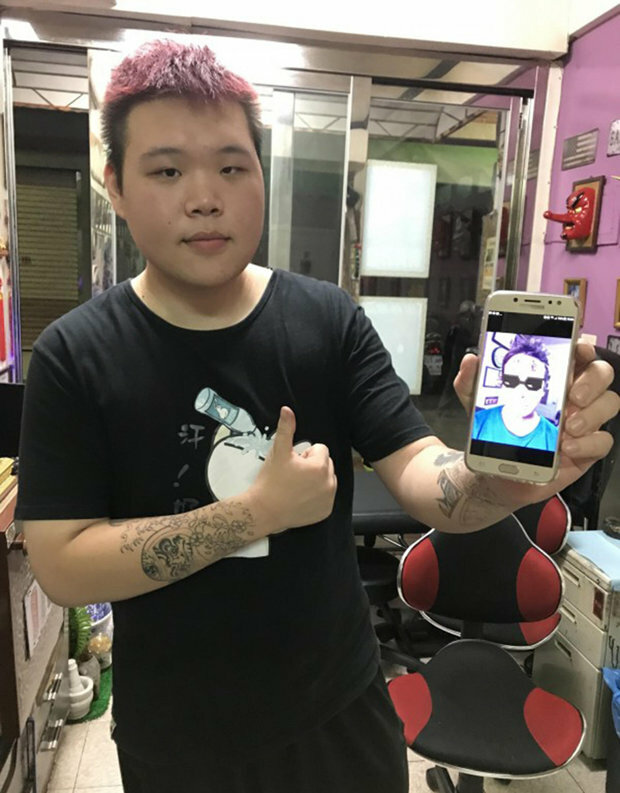 Something tells me he enjoys living in Taiwan. I’m stupid. My wife doesn’t like it. 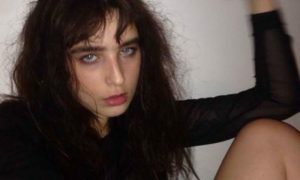 She’s very angry. I love Taiwan. That’s why I did this. But I wouldn’t have done this had I not been drunk. Poor guy. Apparently he made his decision after getting wasted with buddies in the city of Kaohsiung and discussing Taiwan’s independence from China. I guess one thing led to another and he ended up getting his views on the matter etched on his face. 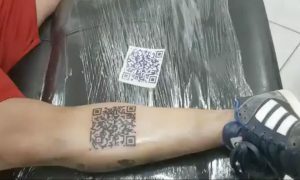 Now the poor guy either has to deal with the tattoos for the rest of his life, or fork out the 10 painful laser sessions that will cost him £5,000 to have them lightened. I’d probably go with the latter if I were him, although that’s one expensive night out. For more terrible face tattoos, click HERE.